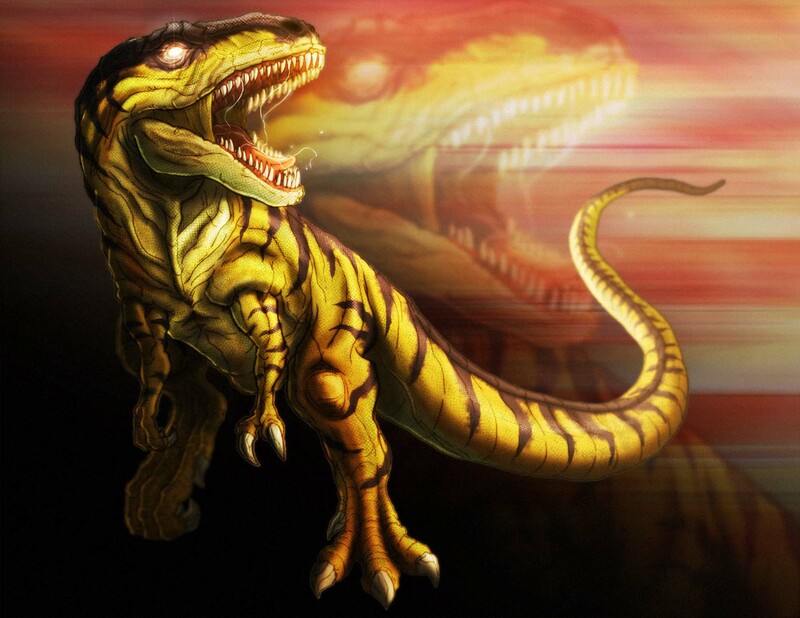 Diablo is one of the seven playable characters in Primal Rage, a 2D fighting game made by Atari Games in 1994 that was first released for the Arcades and later ported to many home consoles. Diablo is the god of Hunger and has to eat humans to stay immortal. 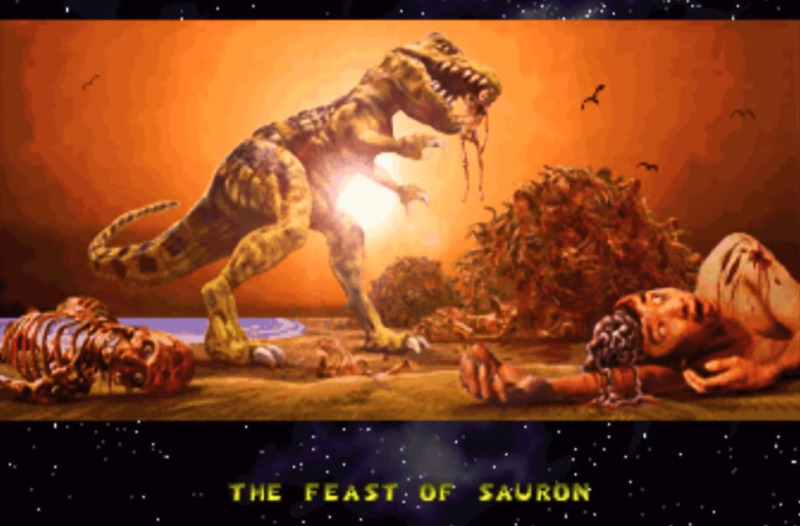 Sauron was returning in the cancelled Primal Rage 2 (1997). 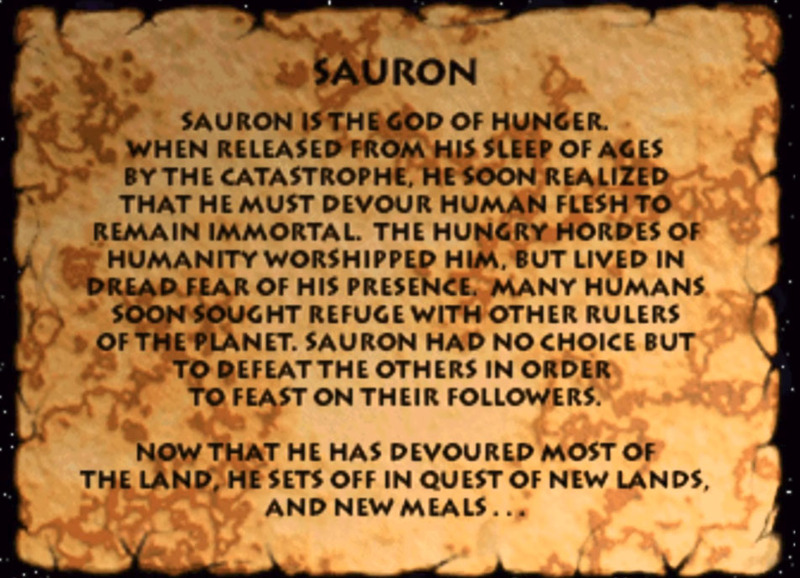 Sauron is the god of Hunger. When released from his sleep of ages by the catastrophe, he soon realized that he must devour human flesh to remain immortal. The hungry hordes of humanity worshipped him, but lived in dread fear of his presence. Many humans soon sought refuge with other rulers of the planet. 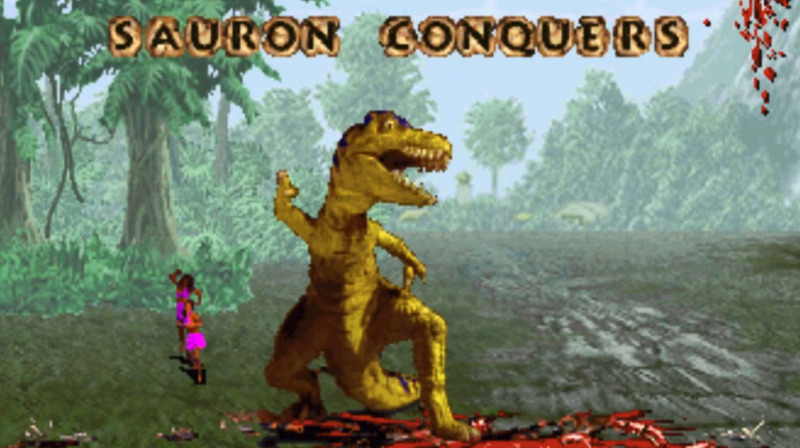 Sauron had no choice but to defeat the others in order to feast on their followers.